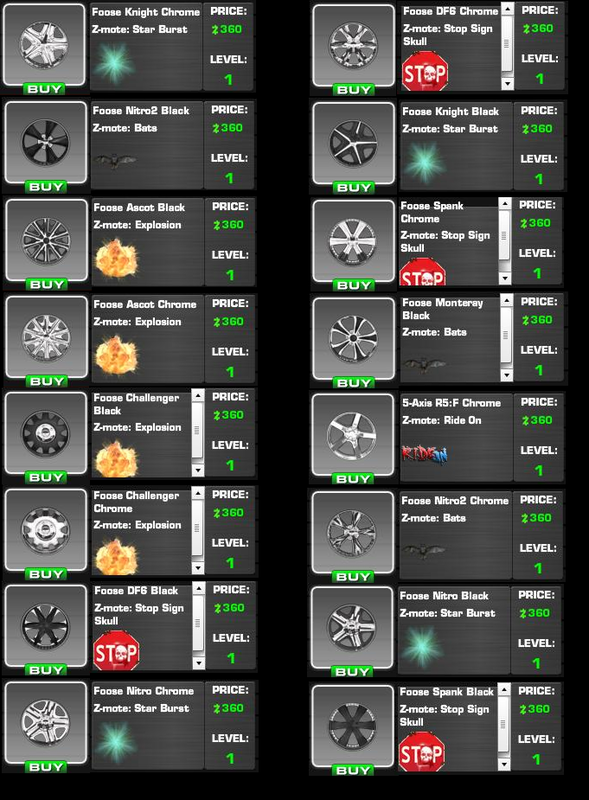 We have compiled a complete list of these wheelz that are available in RZ Shopz in the game. They come with cool Z-motes that you can show off to your friends while you cruise around! Also you can buy these Wheelz even if you're at level 1, as long as you have enough buckz to buy them. Check them out!!! Play more games and earn more 's to buy these cool new Wheelz!